Advanced Wellness Lifestyle Series #2 - How Can My Business Prosper Through a Wellness Prevention Program? 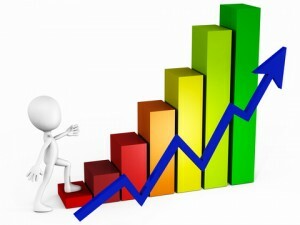 How lifestyle program can improve profits. What documented evidence is there for business regarding the profitability of wellness programs? Not only is the documented evidence that investment in wellness prevention programs has a return on investment, there are three more broad strategic business reasons to consider for creating a healthier workplace. 1. Companies must consider the monetary cost of employing unhealthy employees and the cost benefit ratio of creating healthy, happy employees. 2. They must also consider their future organizational profile and strive to become the “employer of choice” and be seen as demonstrating Corporate Social Responsibility in the community, thus creating added value for share holders and other stakeholders. 3. Finally, companies must consider any costly legal litigation that may arise from accusations of unhealthy work environments. For a business to profit, it must provide products and services to customers at the lowest possible cost but with the greatest amount of quality and service. Hired employees facilitate this process. Employee presenteeism (or productivity), absenteeism and turnover rate are but a few essentials that determine the profitability of a company. Presenteeism is defined as employees being physically present at work, but are less productive because s/he is sick, injured, stressed or burned-out. Presenteeism is still a fairly new marker used in statistical research to determine the quality and quantity of work an employee produces. In 2005, 94 Canadian employers with 250 or more employees, which represented over 300,000 employees, nearly 30% of the respondents acknowledged that presenteeism was a growing concern and 18% intended to address the issue in the immediate future. Presenteeism is productivity and performance related issues. It is receiving increased attention and concerns from employers because of their employees that are on the job. However, because of illness or other non-health-related issues, these employees are not very productive. It is difficult to discern presenteeism because it is hard to tell how much an illness affects a person’s performance. Employees coming to work with an illness can affect both the quantity (work slower) and quality of work (make mistakes). It can also increase financial burdens on a company and have negative impacts including work-related accidents, equipment breakage, absences related to family-work life balance, errors in judgement, conflicts and interpersonal problems. According to Statistics Canada, studies of some chronic conditions and health risk factors found that lost productivity from presenteeism was 7.5 times greater than productivity loss from absenteeism. With stress related health challenges such as heart disease, hypertension, migraines, and neck or back pain, the ratio increases 15 times more. To illustrate this point, if a company has 150 employees and salary costs totalled $6,240,000, presenteeism would cost the employer about $1,638,000. These are staggering numbers to grasp! Follow my next issue to discover more statistics that have been discovered around the issue of presenteeism.